The Artful Critic: DIY Labyrinth: Imagination on a budget runs wild in charmingly weird "Dave Made a Maze"
DIY Labyrinth: Imagination on a budget runs wild in charmingly weird "Dave Made a Maze"
Watching loopy indie “Dave Made a Maze” is like crawling inside a wonderfully quirky mind where imagination runs wild. It’s the brainchild of writer-director Bill Watterson and co-writer Steven Sears, and while it feels like a Michel Gondry-Charlie Kaufman-Terry Gilliam convergence on a budget that was never made, there is an irresistible weirdness and handmade charm that these filmmakers create all their own. 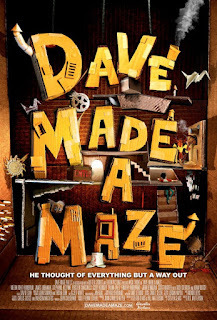 Amusingly whimsical and offbeat without being off-putting or grating, “Dave Made a Maze” is crafty fun that does a lot with a little. 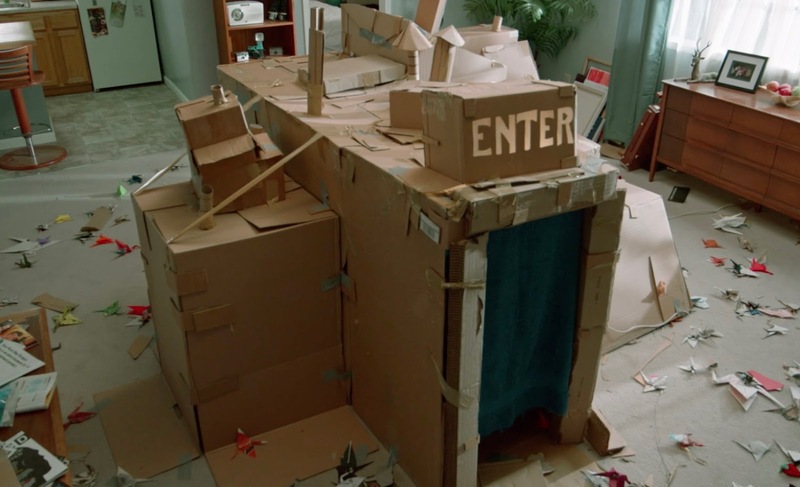 When Annie (Meera Rohit Kumbhani) comes home from a trip to her apartment, she finds a fort made of cardboard in her living room with the voice of her struggling artist boyfriend Dave (Nick Thune) echoing from inside. Dave sees it as his biggest accomplishment, but he’s been lost in it for three days and the maze can’t be destroyed. Dave explains to Annie that the labyrinthine structure is much larger than it appears on the outside and that it isn't safe for anyone else to enter. 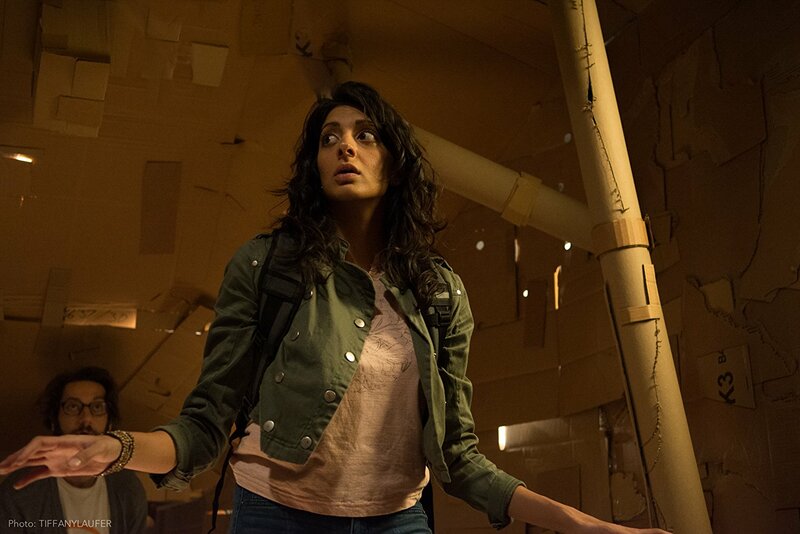 Sure enough, once Annie, Dave’s friend Gordon (Adam Busch), their neighbors and a film crew, led by documentarian Harry (James Urbankiak), head inside on a rescue mission, the maze is cavernous and even more complicated than they imagined. The group faces dangerous challenges, from origami birds, to Rube Goldberg-like booby traps, to a musclebound, flesh-eating Minotaur, and if Dave, the maze creator, trapped himself, how will the others find a way out? 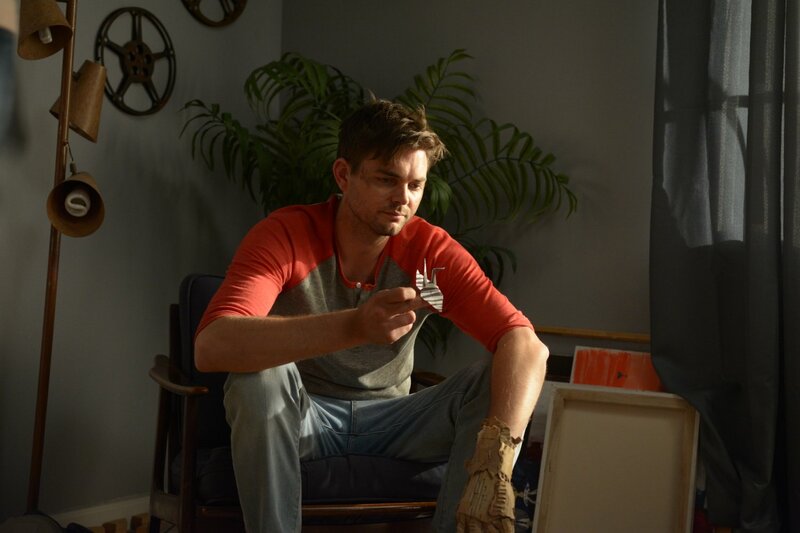 Featuring the calling cards of a first-time effort with budget constraints, “Dave Made a Maze” has just enough material to withstand an 80-minute feature, but only just. As a lo-fi genre oddity, Watterson and Sears construct a clever concept with creativity, resourcefulness, and a lot of cardboard. If the viewer is looking to have their hand held and get a plausible explanation, the film is predicated on one just going along with it all. It follows its own anything-goes internal logic, like when those who go in after Dave trigger booby traps and are slain like arts-and-crafts projects bleeding red papier-mâché streamers, or when all of the characters turn into cardboard puppets briefly after jumping down an escape tube. Had the film relied on body prosthetics and geysers of blood when certain characters do lose their lives to the maze, it would be very gruesome, but the tone is kept light and gleefully wonky since cardboard is the most frequently used material here. Meera Rohit Kumbhani and Nick Thune are likable as Annie and Dave, and their situation as a couple is economically presented, while the supporting players add some color. Underneath the larkish nature of the happenings and the almost-cartoonish but still bonkers mayhem, Dave is facing personal and career dysphoria at thirty years old. It’s a relatable theme that receives short shrift, but the film is more interested in inviting audiences into the niftily detailed world production designer Jeff White has created within Dave’s maze, and the Mondo Boys also orchestrate a cool music score that sounds like an 8-bit video game with organs. 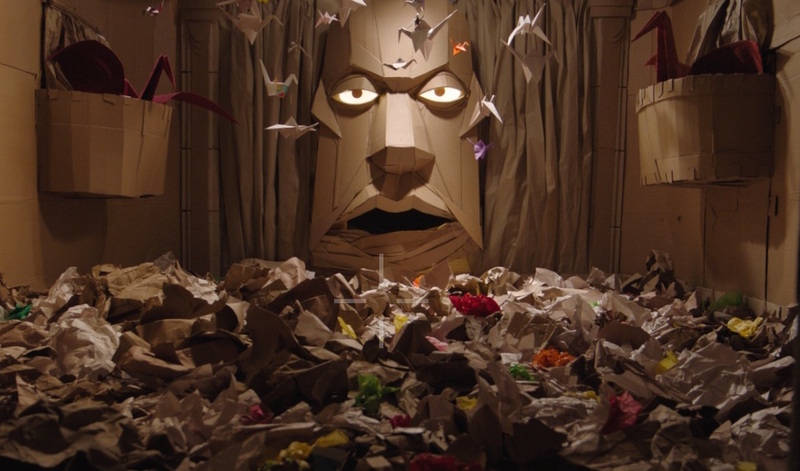 If one craves something different outside of studio fare, the imaginatively designed “Dave Made a Maze” delivers low-budget originality in spades.